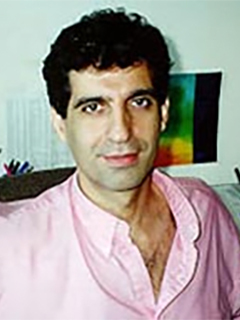 Mohamed Iskandarani is a Professor of Oceanography in the Department of Ocean Sciences at the University of Miami’s Rosenstiel School of Marine and Atmospheric Science. He also holds an adjunct faculty position in the department of Computer Science. His expertise revolves around the development of new computational methods and their application to solve fluid flow problems. His work includes the development and application of advanced numerical models for oceanic simulations, high performance computing, surface wave dynamics, and pollutant transport. Recently he has focused his efforts on uncertainty quantification whereby model predictions are presented in a probabilistic framework to account for the uncertainty in the models input data. Iskandarani's work falls under the broad umbrella of scientific computing. His early contributions revolved around the development of an unstructured grid ocean model based on the spectral element method; he then contributed to the numerical development of HYCOM and to the application of uncertainty quantification methods in atmospheric and ocean models. He has published over 50 peer-reviewed scientific publications. Iskandarani grew up in Beirut Lebanon where he received his Bachelor of Engineering in Civil Engineering in 1984 from the American University of Beirut. Subsequently he moved to Cornell University where he got his MSc and PhD in Civil and Environmental Engineering. His first academic position was a Research Faculty position in the then newly established Institute of Marine and Coastal Science of Rutgers University. Iskandarani became a member of the University of Miami faculty in 2000. Awards and Leadership Positions Iskandarani is on the science-organizing committees for the Layered Ocean Model Workshop and workshops devoted to the development of numerical methods for oceanic simulations. He is an associate editor for "Computational Geosciences" and has been a guest editor for special issues in "Ocean Modeling." Iskandarani is currently the director of the Meteorology and Physical Oceanography graduate program. Iskandarani is on the science-organizing committees for the Layered Ocean Model Workshop and workshops devoted to the development of numerical methods for oceanic simulations. He is an associate editor for "Computational Geosciences" and has been a guest editor for special issues in "Ocean Modeling." Iskandarani is currently the director of the Meteorology and Physical Oceanography graduate program. improve our observational systems. Service at UM and for the Wider Scientific Community Iskandarani serves on the Center for Computational Science Fellows Program whose mission is to inspire a new generation of leaders in computational science by offering students the opportunity to work in a broad cross‐disciplinary research setting. He also serves as an alternate representative of the Rosenstiel School to the Faculty Senate. Iskandarani serves on the Center for Computational Science Fellows Program whose mission is to inspire a new generation of leaders in computational science by offering students the opportunity to work in a broad cross‐disciplinary research setting. He also serves as an alternate representative of the Rosenstiel School to the Faculty Senate.